A piece of wood debris may be seemingly innocent, but it does pose potential danger. Sure, you may trip on that stray firewood by the garage. Or perhaps you can get a splinter as you move two-by-fours from the side of your house to the shed. However, the true danger is this: Loose wood can attract termites. Think about it, wood is a termite’s source of food. And any stray wood that’s sitting on the ground is an open invitation to feast. A bit of stray wood can be enough to attract a swarming colony of termites; as the colony spreads and settles into your property, suddenly, that seemingly innocent bit of lumber can leave your home prone to a major household pest. So, what can you do to mitigate the odds of a termite infiltration? Let’s take a walk around your home, identify some problematic areas, and address what you should do to protect your home from a termite swarm. Regardless of the wood (be it firewood, lumber, or even particle board), termites can flock to your property to devour wood that is accessible. So, it’s crucial to make your lumber as inaccessible as possible. First things first, make sure that your lumber isn’t resting on the ground. Do your best to keep lumber raised up, perhaps on cinder blocks, metal beams, bricks, or PVC, you name it. Just make sure the wood isn’t directly in contact with the ground. Termites are far less likely to consume your lumber if they don’t have easy access to it. Termites usually run along the ground (termites only grow wings while they are swarming and moving to a new location); so, most often termites will only eat food that they find near the ground. In addition, strive to keep lumber away from your walls. Termites can climb walls, and certain termite species will build protective tunnels to connect their home to their food source (in this case, your lumber pile). Ideally, your lumber should be stacked a few inches off of the ground, and at least a small gap away from the wall (far enough that a termite can’t traverse from your wall to the wood; half of an inch should be sufficient). 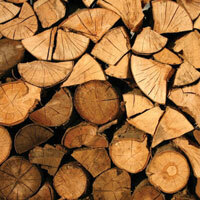 Treat firewood the same way that you’d treat lumber; keep firewood off of the ground, and keep it away from walls. In general, it’s a good idea to keep firewood away from your home as well. Build a firewood stack that is well away from your home. Keep firewood off the ground by any means necessary. Monitor your firewood on occasion to look for signs that termites have infiltrated your wood source (there’s more about signs of a termite infestation below). While wooden patio furniture may make your home more homely, it may also attract termites. Now, wooden patio furniture isn’t usually enough to attract a full-blown colony, but it’s better to be safe than sorry. Once again, keep an eye out for signs of termites. If you notice any signs, it’s time to move your furniture and take action. You can expose your wooden patio furniture to sunlight (which repels termites), or you can actually freeze termites (if you have a freezer with a sufficient size, that is). If termites have infested any area of your home, or any wood surrounding your home, it may be best to pack up the patio furniture until the problem is resolved. Sheds, garages, and houses are all susceptible to termite damage. Take a keen look at the infrastructure of your home. Do you have wood that is easily accessible within the envelope of your walls? How protected is your garage against infiltration? Does the wood frame of your shed simply rest on the ground? Is your home’s foundation sealed and protected against the advance of termites? Make sure that your home and the structures surrounding your home are protected. Again, make sure that bare wood is not exposed. Termites are quite difficult to notice; however, with a keen eye, you can identify termites. Keep an eye out for tunnels, including subterranean tunnels, and mud tunnels that have been constructed above the surface of the earth. 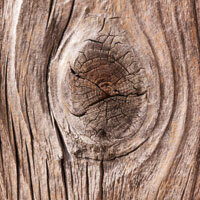 In addition, look for wood that has tunnels and holes bored throughout the surface. In the event that termites swarm, your termites may also drop their wings, leaving a collection of discarded, brownish-clear wings. Any and all of these signs may be prevalent in you home, other structures, firewood, and lumber. If you’re uncertain whether or not termites have infiltrated your property, be sure to have a professional termite inspection performed. If an inspection does reveal a termite problem, now is the time to act. Seek immediate help to stop your termite problem in its tracks. If you live in San Diego, Los Angeles, or Orange County, feel free to call on us for termite treatment solutions. 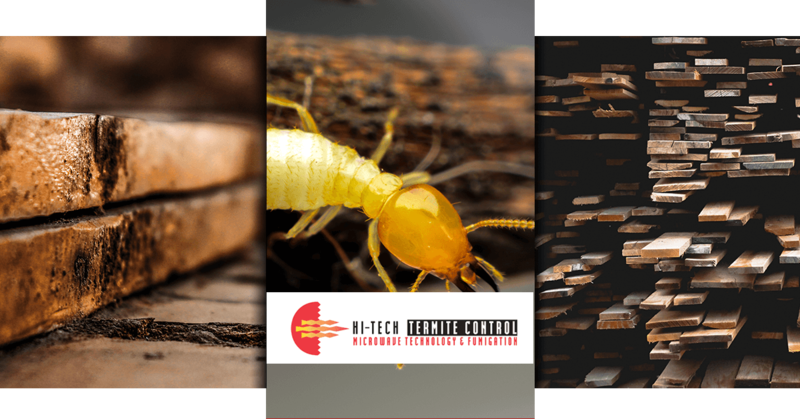 Alongside our traditional termite treatments, we also provide microwave termite control. Learn more about our full list of termite treatments, or get started by scheduling an appointment!